She knows every single one of their names. 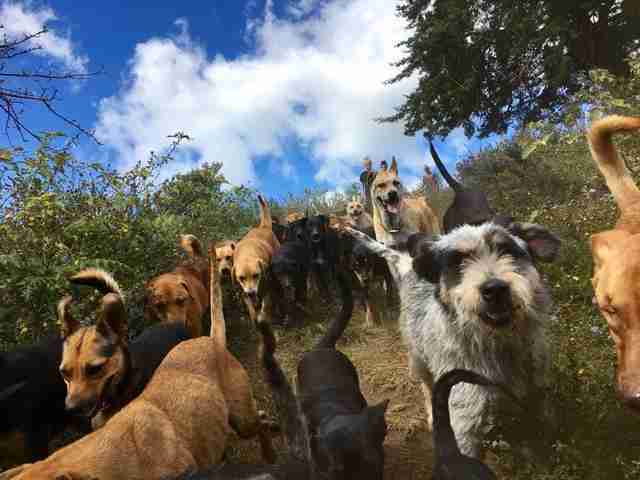 It all started with Diego, a 15-year-old schnauzer whose owner brought him to a shelter several years ago in Costa Rica. 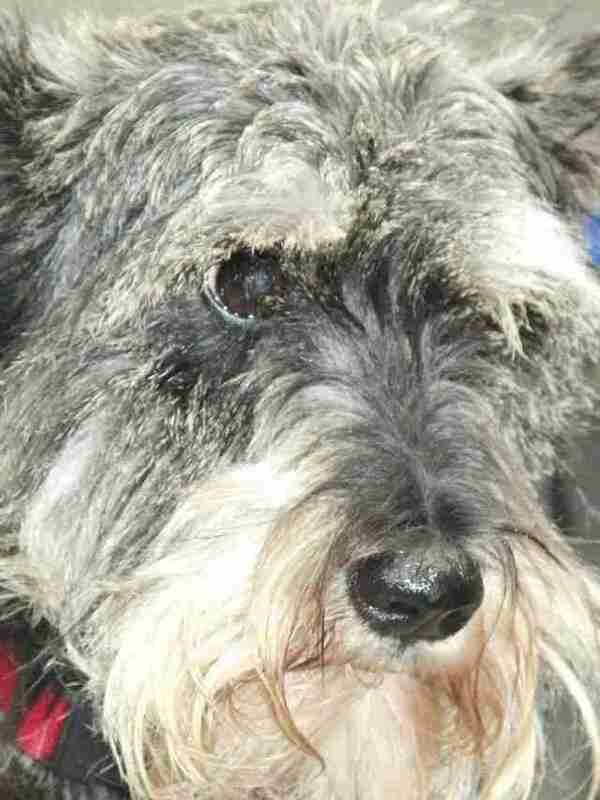 Diego was old and sick, and his body was riddled with tumors. Lya Battle was visiting the shelter to buy kibble for her dogs when she noticed Diego. "I remember it was late in the day, and they were about to close, and I heard the girl who works there call another girl and say, 'Oh wait, before you leave, bring the little black dog from cage number three into the operating room,'" Battle told The Dodo. "And I thought, 'That's weird that they're waiting until the very last minute to spay him.'" But they weren't planning to spay him - they were going to euthanize him. When Battle figured this out, she insisted on taking Diego. "They said, 'No, he's sick, he's old,'" Battle said. "And I said, 'It doesn't matter if he lives a week. If he's going to die, let him die having a home.'" Battle had several rescue dogs already, but Diego was the first special needs dog she'd cared for. "I thought he would literally die within a week, but he actually held on, and he became our sweetest child for four more years," Battle said. "He got at least 19 or 20 years of life." But it wasn't just Diego who needed rescuing. 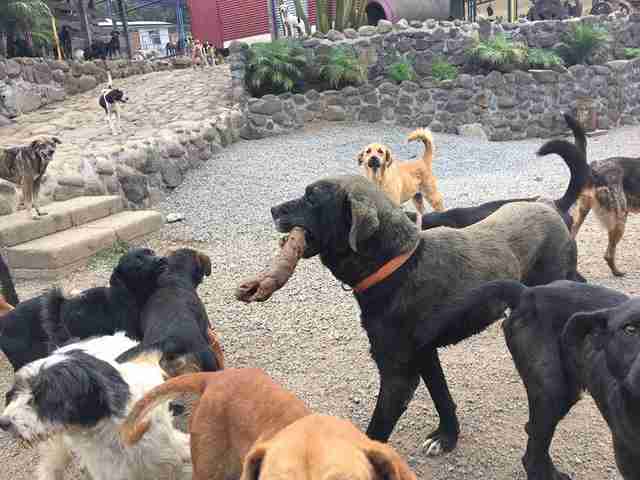 In Costa Rica, lots of dogs need help, Battle said. There are dogs living on the streets, and many people don't understand how to properly care for their pets. 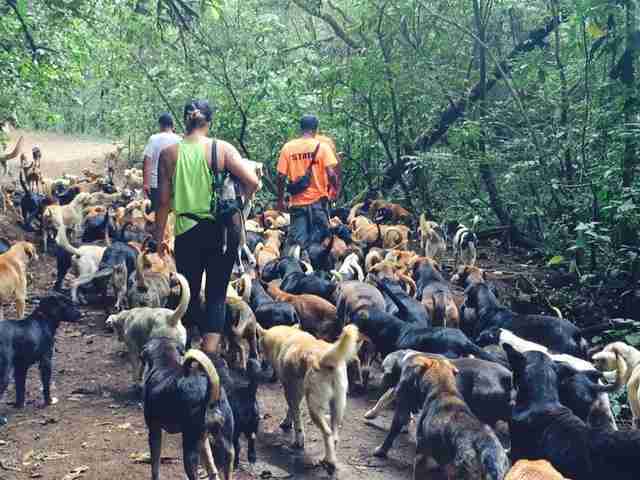 A few privately run shelters and rescue groups exist in Costa Rica, but these groups often have a difficult time securing funding, according to Battle. 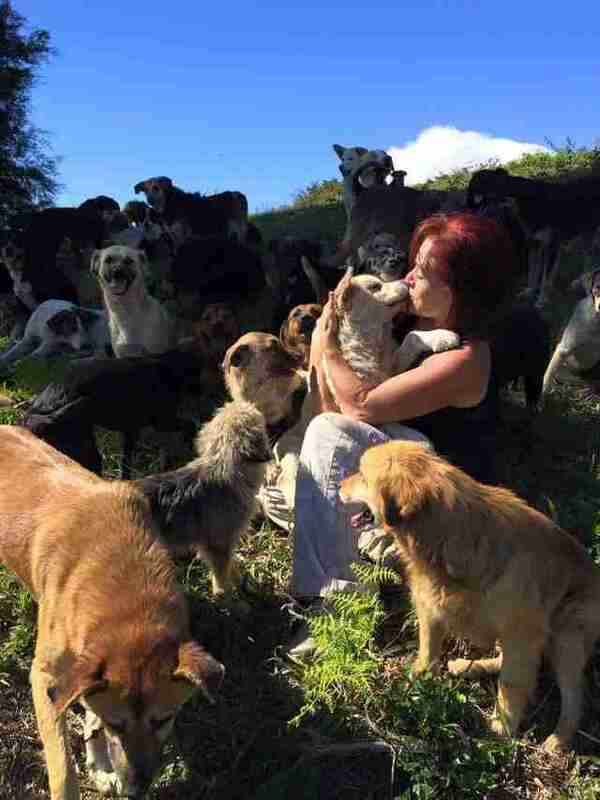 Knowing that animals in Costa Rica get very little help, Battle tried to personally save as many dogs as she could, taking a special interest in rescuing old and special needs dogs, and bringing them home to live with her and her husband, Alvaro Saumet. At the time, Battle and Saumet were living in a small, loft-style house with a modest yard in Escazu. 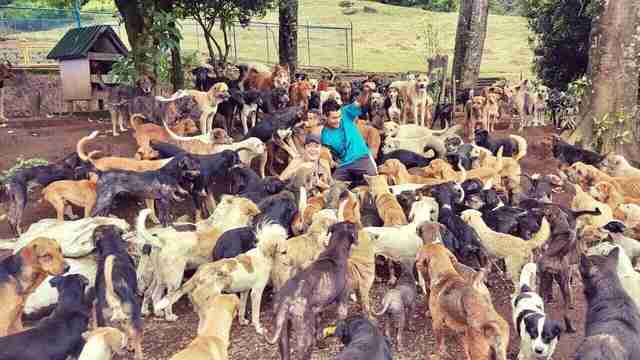 At first, only a few dogs lived with them, but this quickly escalated to about 100 rescued dogs. Saumet built elevated platforms and dog houses in the yard to accommodate all the animals, and they had two people helping them take care of all the dogs. To pay for animals' care, Battle and Saumet both had day jobs. "I worked as I do right now, and Alvaro also helped with the costs through his different business affairs," Battle said. "We literally took from wherever we had in order to keep them homed." Battle, Saumet and the dogs lived in the loft for four years. But they eventually realized they needed a bigger place. As luck would have it, Battle inherited a 146-acre farm near Alajuela that had belonged to her grandfather. 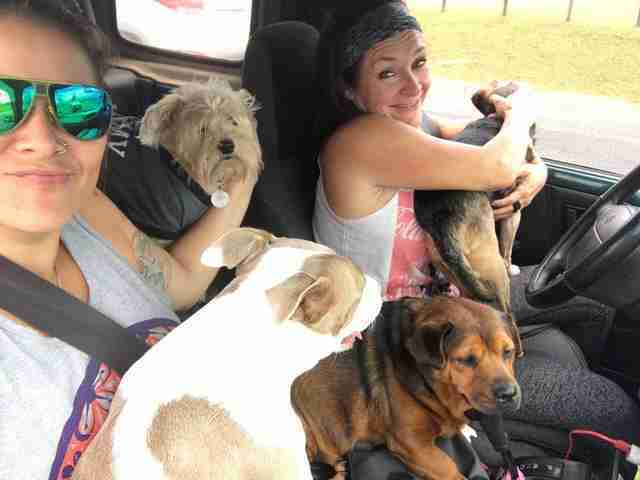 "My husband said, 'Why don't we hire someone to go live at the farm and take care of the 100-odd dogs we had at home,'" Battle said. So that's exactly what they did. 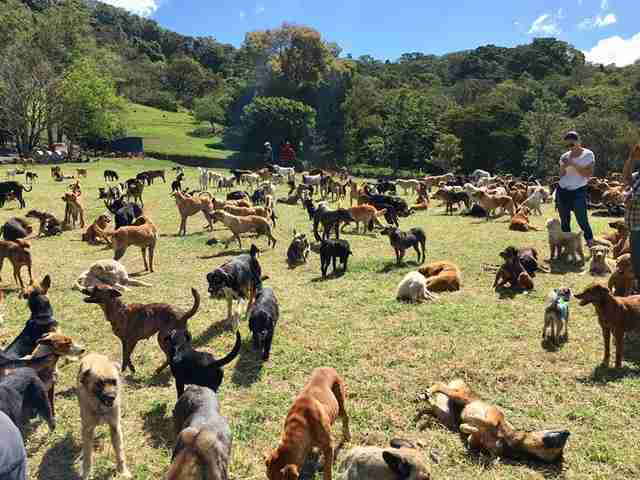 And in 2009, Battle and Saumet founded Territorio de Zaguates (which roughly translates to 'land of the mutts'), a no-kill sanctuary for stray dogs. 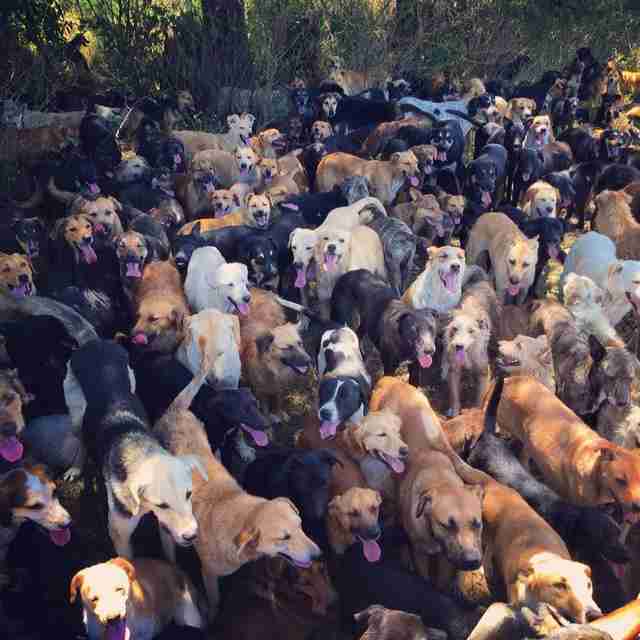 At the moment, there's somewhere between 600 and 700 dogs at the sanctuary, Battle said, although they've had as many as 900 dogs there in the past. 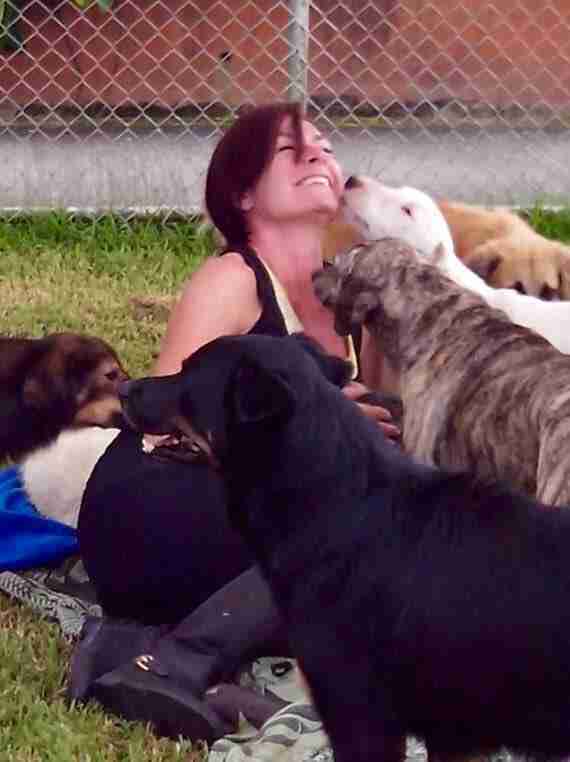 Several dogs get adopted each week, but there are always more dogs arriving at the sanctuary than leaving it, Battle explained. "They come and go," Battle said. "We're always taking in more than we give out. At least the population is rotating. We also have a huge, huge senior citizen population." 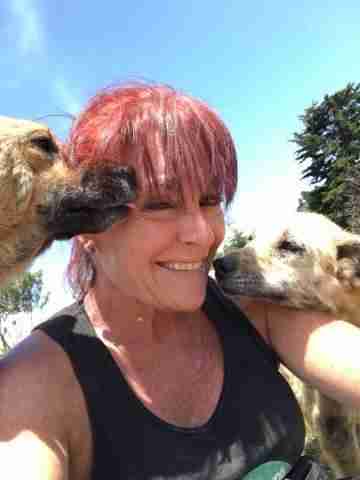 Battle and Saumet are usually the ones who name the dogs who arrive at the sanctuary - and Battle said that she remembers them all. "We try and find funny names - not glamorous names," Battle said. "If he has bad skin issues, then we'll call him 'Scab.'" 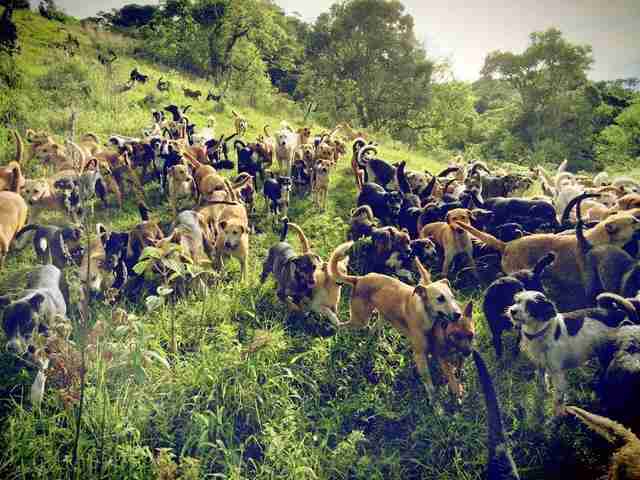 Out of the farm's 146 acres, the dogs have access to about 10, Battle said. (The rest of the property has been converted back into natural forest.) A lot of the dogs stay around the main house and enclosure area, but others like to follow the caretakers around and explore the property. The dogs are supervised 24 hours a day, Battle said, and at night, the caretakers try and lock most of them inside the enclosure. 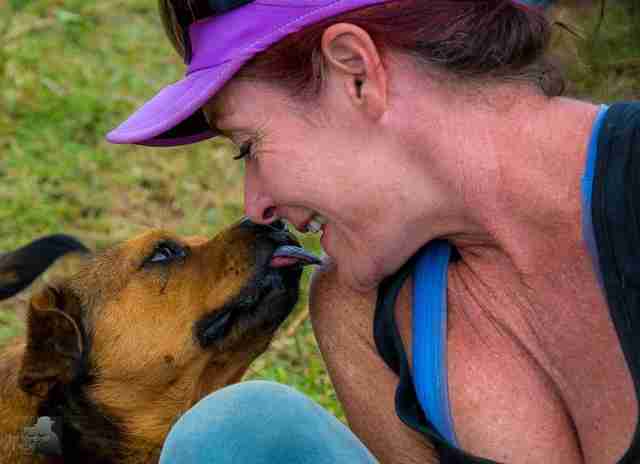 Battle loves what she does, but it takes a lot of money to care for all the dogs. "No matter how hard it's been, it's always been worthwhile," Battle said. "If something is terribly difficult, and it takes all you have - both materially and emotionally - but you still do it, that's because you've found what really calls to you. If it were easy, everyone would do it, and if it were easy, it wouldn't be as fulfilling." 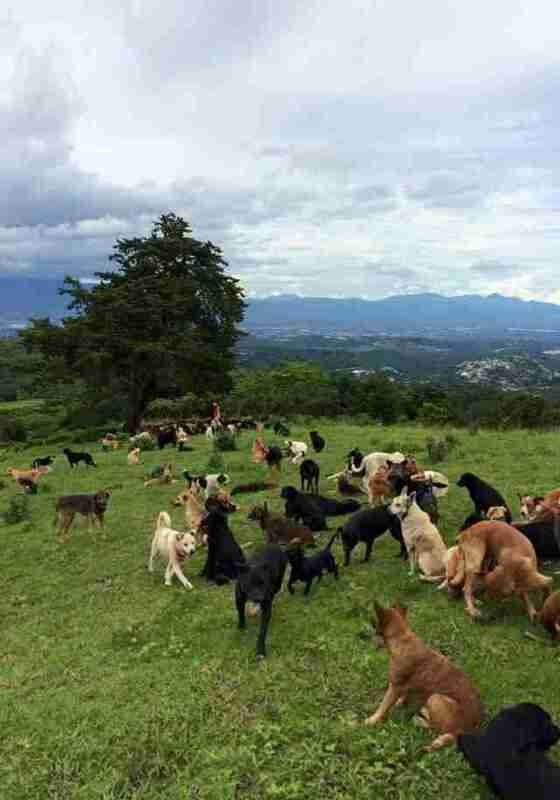 To help support this sanctuary for Costa Rica's unwanted dogs, make a donation.